The overall value of warehouses and other industrial assets in Western Sydney are largely dictated by their proximity to key transport routes. 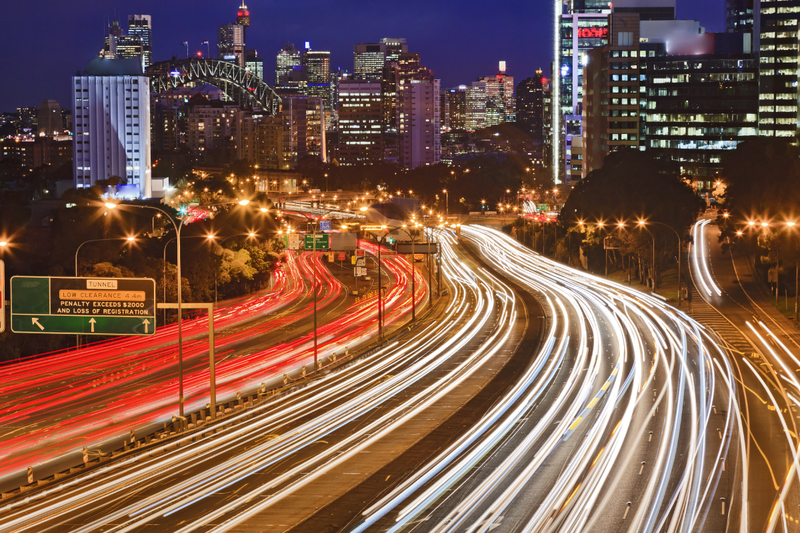 In what may be an unsurprising revelation for many, CRBE released a report on the topic which outlined the specific numerical relationship between Sydney motorways and the industrial market. Their research showed each additional minute drive closer to a motorway equates to a 2.1 per cent spike in rents. After analysing 375 industrial leases since 2014 in the Western Sydney area, researchers discovered occupiers pay on average $3 per square metre more for each additional minute drive to a motorway, while rents dropped in all submarkets as facilities move further from the motorway. The report showed supply chain intensive occupiers could benefit from greater transport related savings that offset the more minor increases in real estate costs by being closer to motorways. With transport costs typically a large share of an industrial operation’s cost base compared to rental costs, industrial occupiers can make savings by locating themselves nearer to key infrastructure. 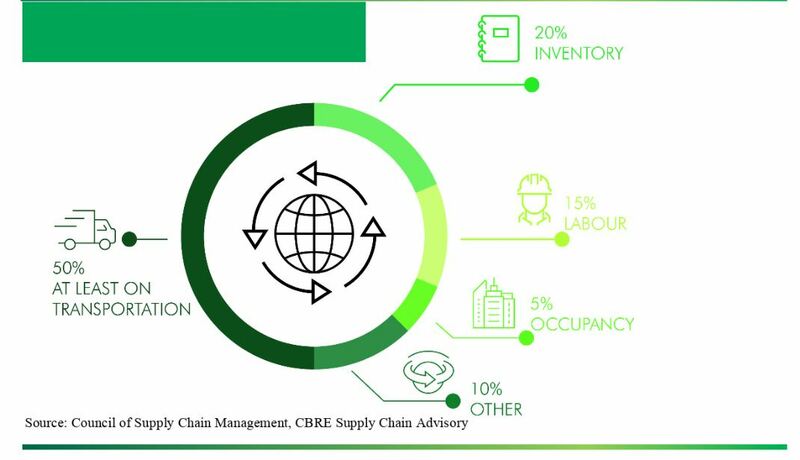 CBRE’s James Melville said the findings reflected the importance on supply chain efficiencies amid the increasing geographic division between consumption and production. “Factories have become more specialised and separated from the warehousing and retail stages of the supply chain. This fragmentation has resulted in a greater importance of supply chain considerations on locational decisions,” Melville said. 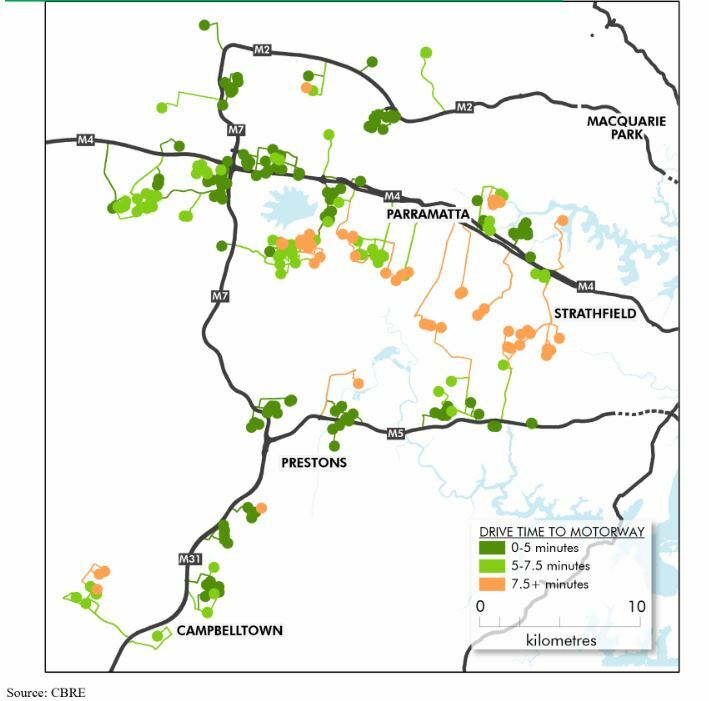 “Much of Sydney’s large-scale warehousing logistics operations have shifted west towards precincts such as Eastern Creek, which have excellent access to the road network and, by extension, Sydney’s residents. “For an occupier assessing their location options, a one per cent drop in transport costs is equivalent to a 10 per cent drop in rental costs,” Melville said. CBRE’s analysis did not directly adjust for asset quality.